Remi is my husband’s cousin’s dog and she is a beautiful silver-brown lab. We had the opportunity to spend time with her over Thanksgiving and I did a few quick sketches of her napping. 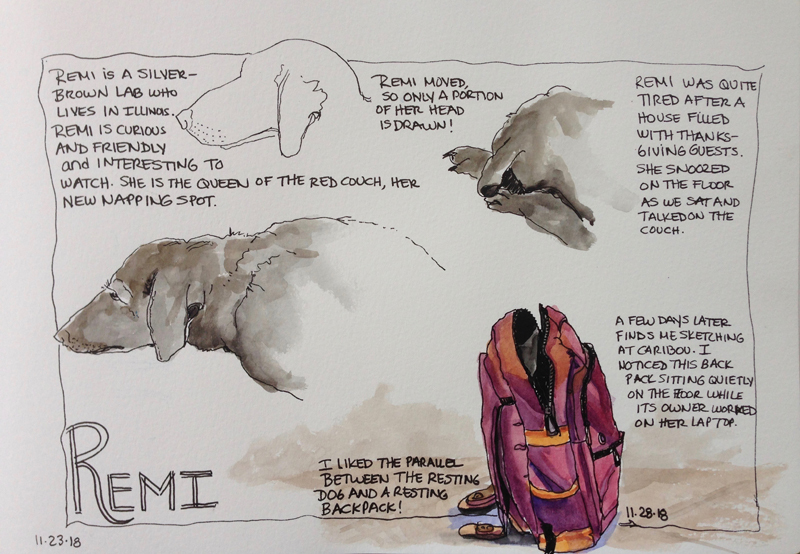 I wanted to add more to my page, so a few days later I was sketching this reddish backpack at Caribou and it seemed like a fun addition to the page. Both the dog and the backpack were resting while their owners did other things. It was a nice parallel! Copyright©2019 Heather Hultgren. All Rights Reserved.